BBQ-ing with friends made me to look for a dessert recipe which would satisfy most of them. And I found one. 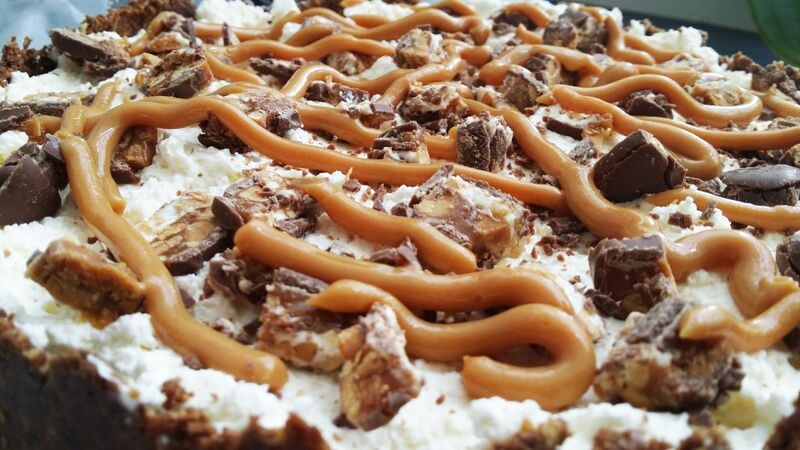 This pie is a perfect treat for Snickers’ fans and caramel. It is made on a cookie base so no baking needed and I think it is a great idea for hot days when putting the oven on is the last thing on someone’s mind. 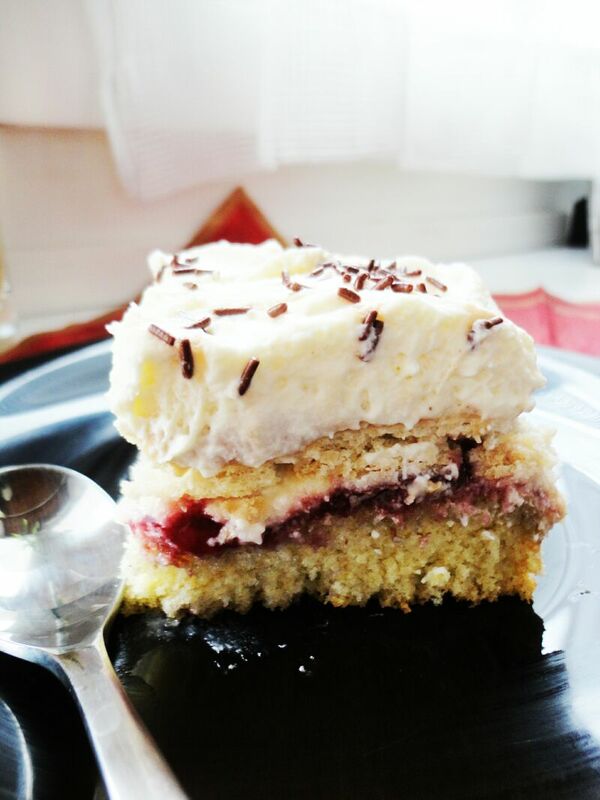 Recipe comes from a book by D. Swiatkowska “Moje wypieki i desery”. Enjoy! 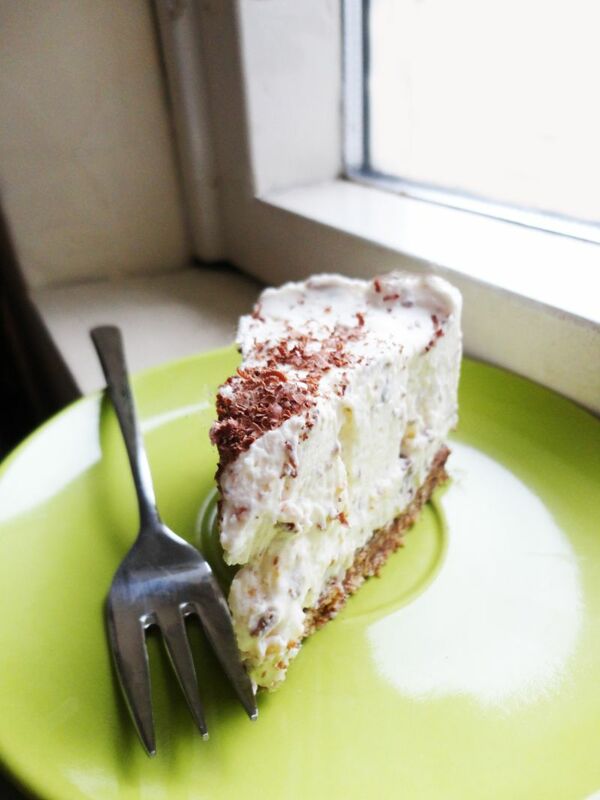 I did not realize that this cake can be that delicious! 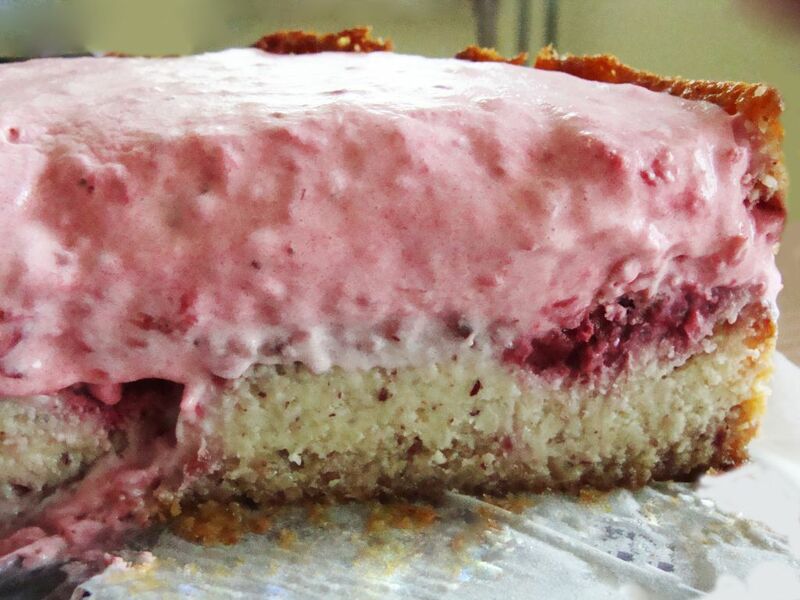 It’s incredibly delicate and the combination of white chocolate and raspberries makes it not too sweet. It is for sure a special treat for yoghurt/smoothie fans. I took the recipe from my bible blog. Enjoy! Yum, yum… Had some leftover full cream and wanted to use it on something tasty and lunch-appropriate. 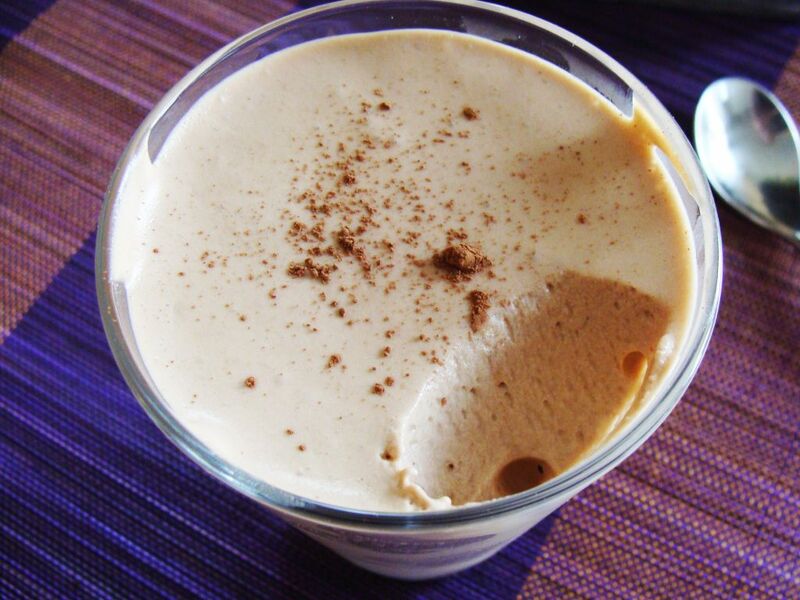 I found this recipe on my guru’s website and said to myself “hmm… crepes with full cream? how will they taste?” Believe me, it is worth making them. I enjoyed my crepes with apple mousse (how else? 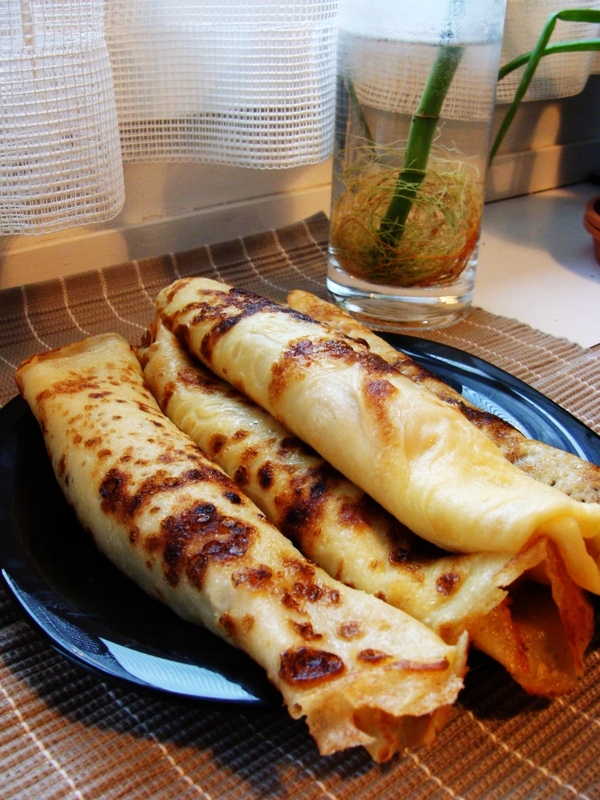 ;)) but you can serve them with all the sweet fillings one likes. Enjoy! 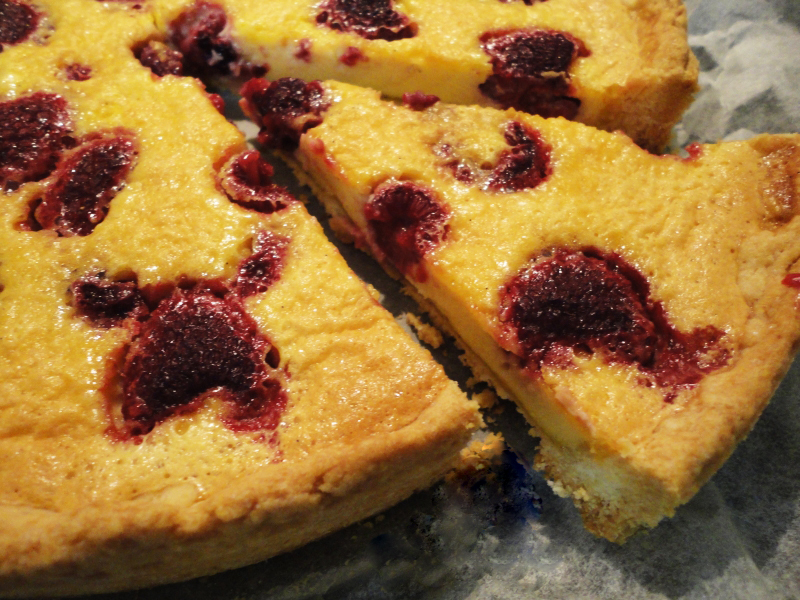 When I saw this tart on Liska’s website I wondered if it’s smiliar to the one I buy from time to time in the local shop. I must say the result was satisfying and delectable. I would recommend it to anyone who (like me) is a big tart fan. Enjoy!